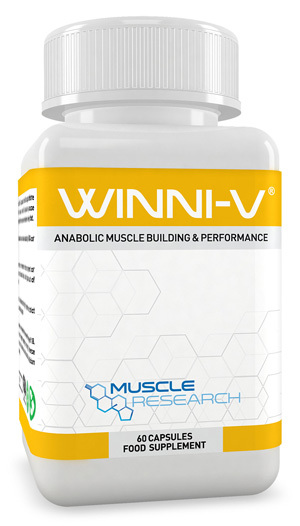 Winni-V® is the ultimate supplement when lean mass and reducing fat is your primary goal. This powerful multi-faceted formulation has versatility in mind. By enhancing your metabolic rate that dense, shredded, granite look can be achieved with the correct dietary protocol. Users of Winni-V® report an elevation in muscular endurance and stamina when combined with a consistent cardiovascular program. Weight training bodybuilders report gains in power and lean tissue with a diet high in protein. Athletes in speed, power and contact sports will benefit from the increase in energy and concentration. Our cutting edge Winni-V® formula yields a well-rounded oral anabolic supplement, with a fast-acting and highly absorbable delivery system. 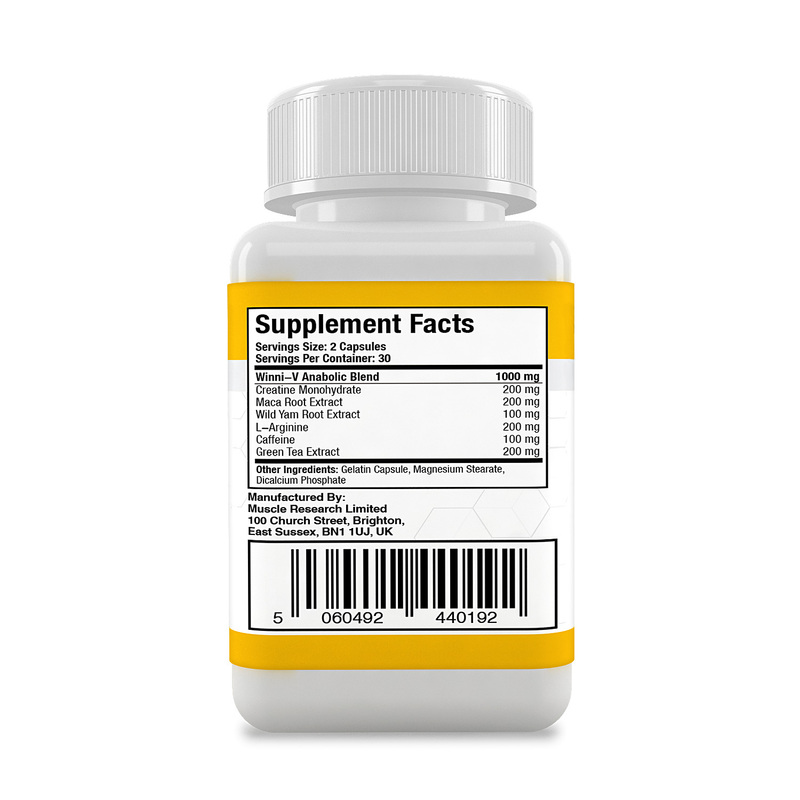 Suggestions: Winni-V® can be used alone or stacked with Test 500® for overall optimal gains. Or try our Cutting Stack if your goal is body recomposition. Ingredients: 200mg Maca Root Extract, 200mg Green Tea Extract, 200mg Creatine Monohydrate, 200mg L-Arginine, 100mg Wild Yam Root Extract, 100mg Caffeine.